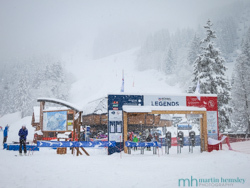 My previous blog article, "From Carnegie Hall to Courchevel" stimulated much debate from my Méribel ski instructor colleagues and clients as to how much a recreational skier could ever hope to achieve. Having taken into account the improvement that some of my clients have made over the years and canvassed their opinion, I would say that those achievements could be considerable. 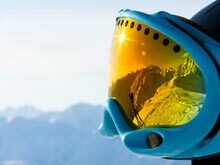 In the short term, being able to help someone change in only one lesson from an effortful and inefficient attempt at the old-fashioned 'pop and swivel' technique to an efficient appreciation of how to use a modern ski, can be a real epiphany. Performance can be transformed in a remarkably short time and peoples' enjoyment of the mountain enhanced for the future. This is not something that only the young can achieve but can be done at any age. 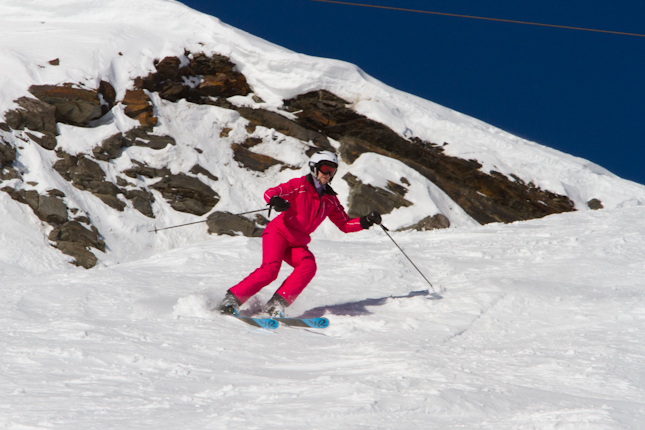 In the past year I have seen one client make a highly successful start to skiing in her mid-sixties and seen another lady make an enormous improvement at the age of seventy-two. Just this past week I have been skiing with Adrian and Jane Parker, both sixty-two and skiing better with each passing season. Adrian and Jane have been having lessons with me for a week for each of the past seven years. 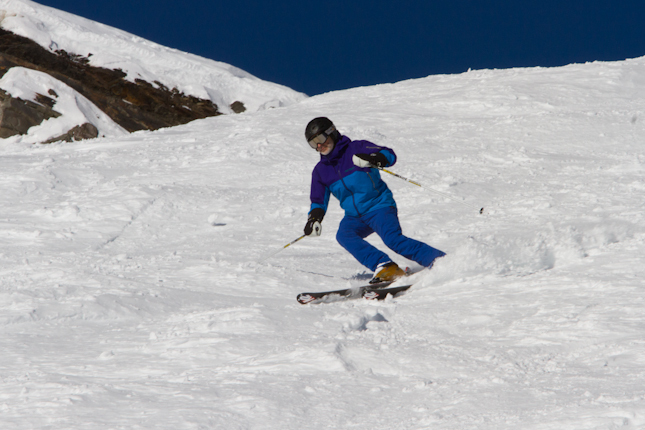 At the beginning we were working on the fundamentals of skiing; posture and balance, body management issues and appropriate use of the steering elements - pressure, edge and rotation. 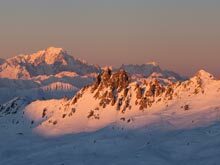 As they improved and their skiing has become more consistent, we have moved on to more and more challenging terrain, until now we ski mostly off-piste and this week skied the daunting 'Couloir de Tounier' for the first time. 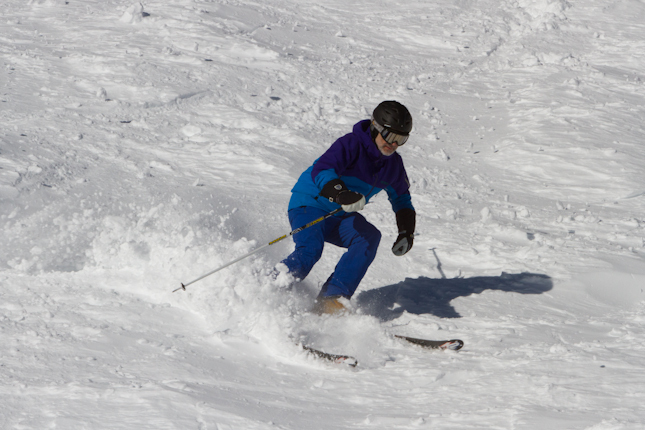 Jane has been wonderfully resourceful at devising practises for ski technique away from the slopes. For example, while working at isolating rotation, she came up with the idea of practising her exercises on her tiled floor, in her socks while standing on two glossy magazine pages. Brilliant. 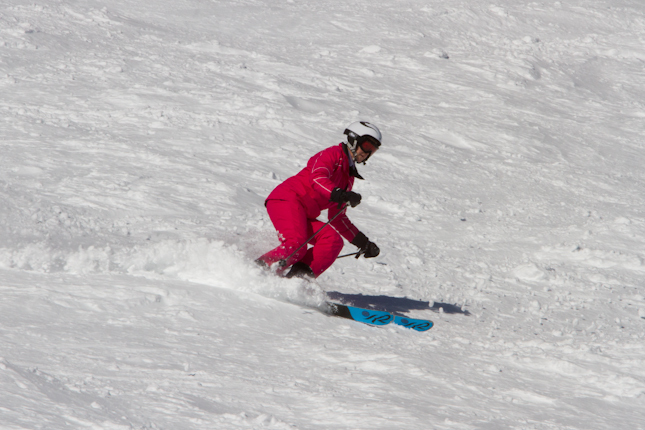 It is my opinion that when trying to learn new skiing skills we do it in an area that is not at all challenging. Only after the skill is understood and relatively ingrained do we move on to more demanding terrain. Many times when I've been explaining the merits of learning how to blend our steering elements on easy terrain, someone has said to me "yes, that's all very well, but that doesn't work for me on the reds and blacks." My answer is always that you don't improve your skiing by skiing badly on a difficult run, all you are doing is getting better at skiing badly: you improve by constantly skiing well and becoming more consistent on easier runs, then incrementally taking that onto more difficult terrain. Last week I was skiing with two professional musicians, double bass player Lucy and Sarah, who's a cellist in the BBC Symphony Orchestra. Sarah remarked that my above example is a bit like a cellist who can't even play a B minor scale, wondering why they are having trouble with the Dvorak cello concerto. 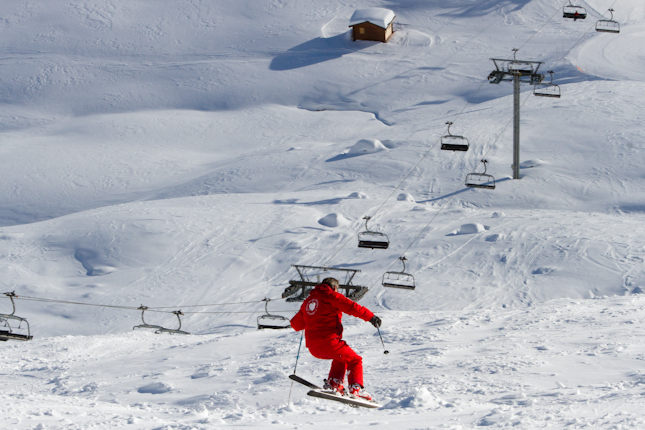 Another parallel between music and skiing (if you'll pardon the pun)!